Planning a conference is a big task. Hopefully you will have plenty of time to start the planning process and lots of ideas on how to make the event as successful as possible. You will also need to be able to find the ideal venue –which can also take time. It’s a big responsibility to plan a conference but also a great opportunity to host a successful business event that really makes a difference to your company. Here are some handy tips on how to plan an event that perfectly meets yours and your delegates’ expectations. Your conference will sit within your overall marketing and business development goals, so there should be a specific purpose to the conference where you can measure outcomes and success. Defining your goals also helps you choose a conference venue. 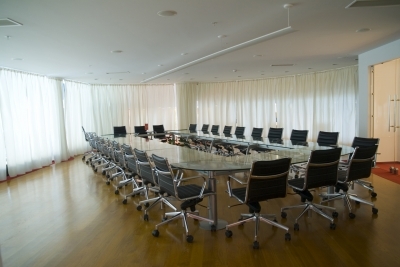 If your conference will be based on small meetings between teams, you will need a venue with plenty of meeting room space. Large Conference venues are ideal when you want a main presentation space such as a lecture theatre to give presentations to a large number of delegates. You may not want to host a massive conference for everyone in your industry – instead, you may want to host a small conference where the focus is on small meeting groups. You may want 20 people to attend to learn about a new skill or technique. Or you may want to attract hundreds of people. Either way, you need to know how many people to expect so you can properly plan your venue and choose a place that suits your needs. Acknowledge the practicalities as well as the aesthetic choices you make when you are looking for a location. If you have a large number of people attending from great distances you will need an easily accessible location with plenty of parking, and access to public transport links. If your conference is local and small, pick a venue that is within easy reach of the main city centre or the location where your delegates work. Think about if you need a venue that provides catering, and what kind of catering you need – a formal dinner is a much different requirement to a plate of sandwiches plus tea and coffee. Your agenda should be specific enough to let people know what to expect, and whether they will be interested in attending the event, but you do also need to build in room for adjustments and changes to topics and speakers.